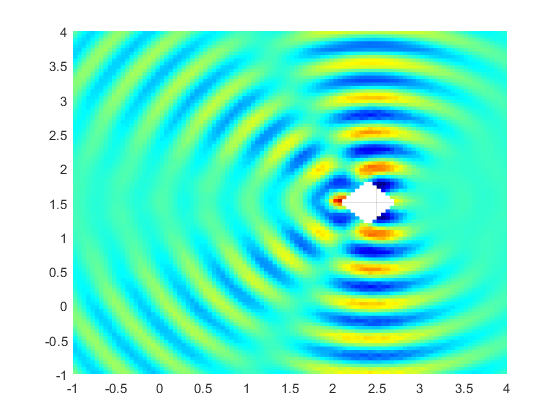 This example shows how to solve a simple scattering problem, where you compute the waves reflected by a square object illuminated by incident waves that are coming from the left. This example uses the programmatic workflow. For the PDE Modeler app solution, see Scattering Problem: PDE Modeler App. To solve the scattering problem using the programmatic workflow, first create a PDE model with a single dependent variable. 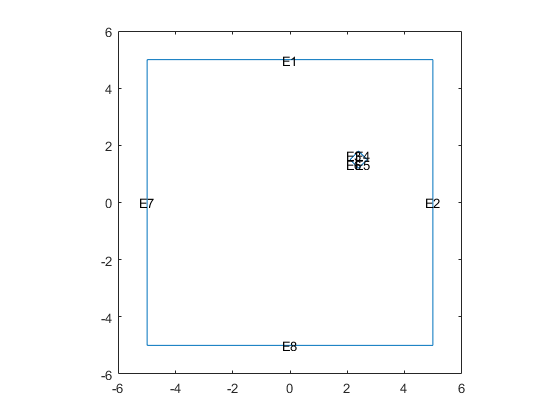 g: A geometry specification function. For more information, see the documentation section Parametrized Function for 2-D Geometry Creation and the code for scatterg.m. k, c, a, f: The coefficients and inhomogeneous term. Convert the geometry and append it to the model. Solve for the complex amplitude. The real part of vector u stores an approximation to a real-valued solution of the Helmholtz equation. 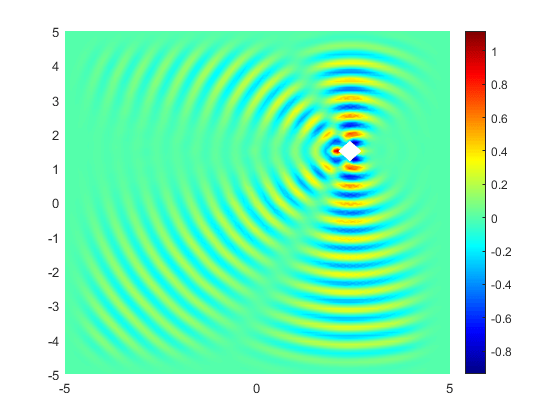 Using the solution to the Helmholtz equation, create an animation showing the corresponding solution to the time-dependent wave equation. To play the movie, use the movie(M) command.